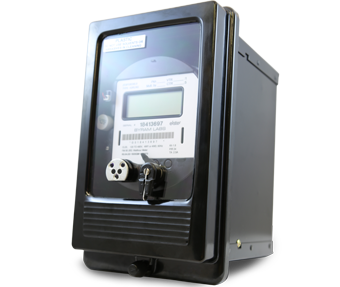 Byram Labs has been providing metering solution for utility, commercial, residential and government customers. Whether it is sub-metering an apartment building or designing a customized metering solution, we strive to fulfill every customers metering needs. Keep Byram in mind when future metering opportunities arise. 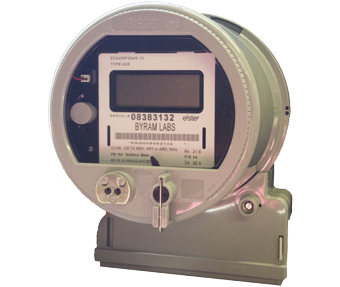 Elster electricity meters are engineered for residential, commercial and industrial, and interchange metering applications. Elster meets the expanding needs of utilities by providing advanced metering products and services worldwide. E-Mon Submeters are installed worldwide for tenant billing, cost allocation, green building programs and load profiling in skyscrapers, shopping centers, airports, factories, office buildings, apartment complexes, industrial, governmental and educational facilities. Schneider Electric® offers a full portfolio of metering and monitoring products and solutions, scaleable from simple metering and analysis to remote, online enterprise wide power management solution. Aclara's GE family of meters goes beyond meeting your complex business challenges. 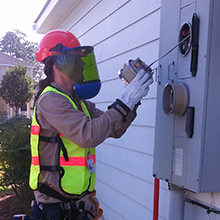 The advanced, powerful and easy-to-use meters give you an extra edge in the energy business. Itron is dedicated to delivering end-to-end smart grid and smart distribution solutions to electric, natural gas and water utilities around the globe. Available in Single phase and Polyphase form factors that offer high accuracy, reliability, and low ownership costs. Submeter - provide a solution to monitor the electrical consumption of individual equipment or tenants within a building. MMU - A Multi Metering Unit is a compact installation of multiple meters that allows for easy and centralized reading. Available in configurations containing up to 4, 9, 16, 20 or 24 meters. 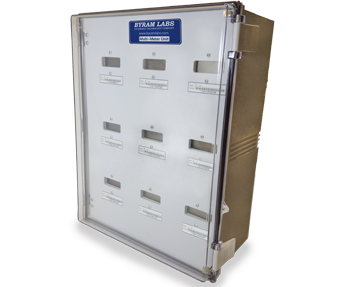 Switchboard Meter - provides a complete system for complex energy and power measurement installed in a switchboard mounting enclosure. A-Base Meters - for all your existing and new bottom mounted metering needs.